December’s going to be over in the blink of an eye, and we’re almost ready to embrace 2013. We hope everyone had enjoyed yourselves as much as we did this festive season! 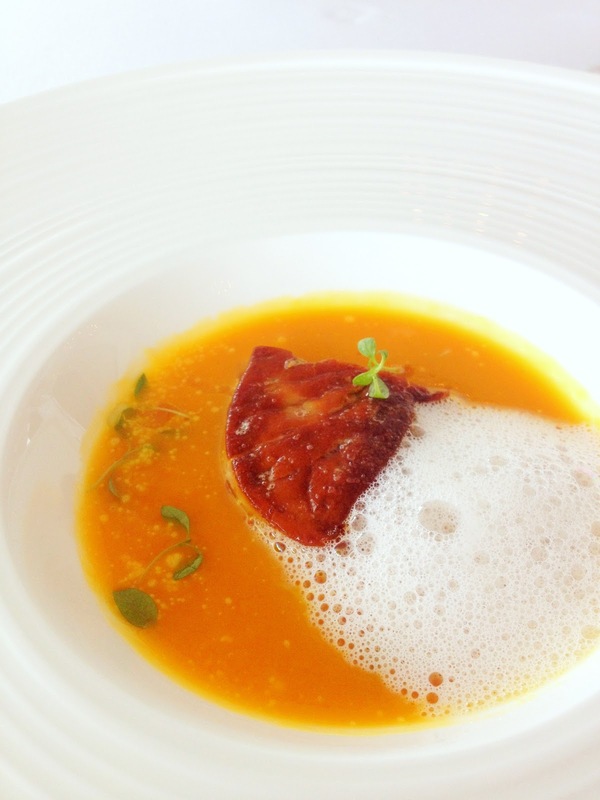 Just last week, we went over to Forlino for lunch and had the honor to taste Chef Kentaro Torii’s creations. The food at Forlino was truly impressive! 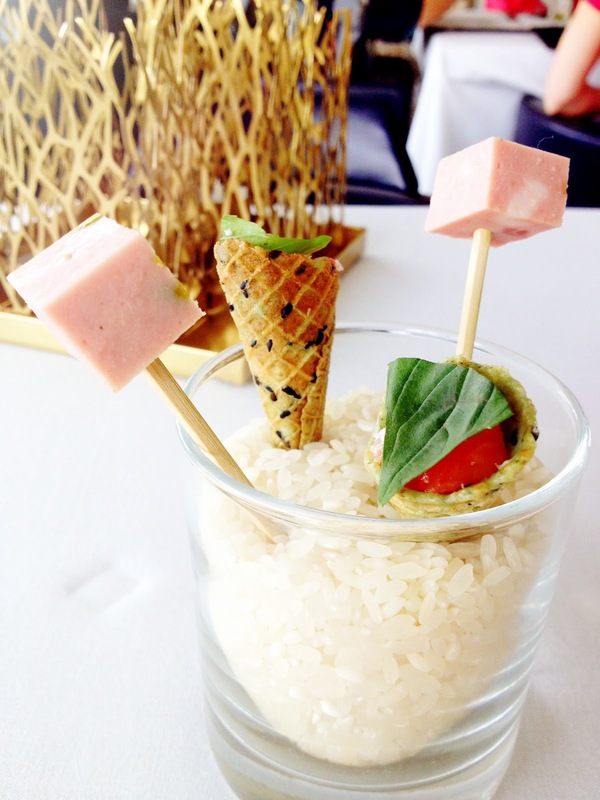 The presentation was really creative and made the food looked even better than they already were. What we had were mostly from the Chef’s Kentaro Signature Menu, with just slight variations to it. The set menu’s available at the restaurant everyday so do try it, it’s highly recommended by the chef! 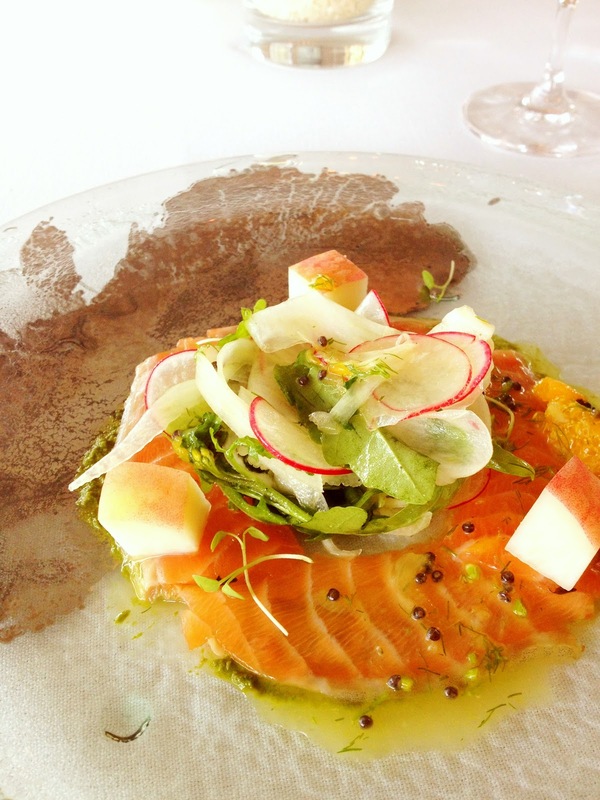 Salmon carpaccio, the perfect appetizer to start with. It was really flavorful and refreshing! 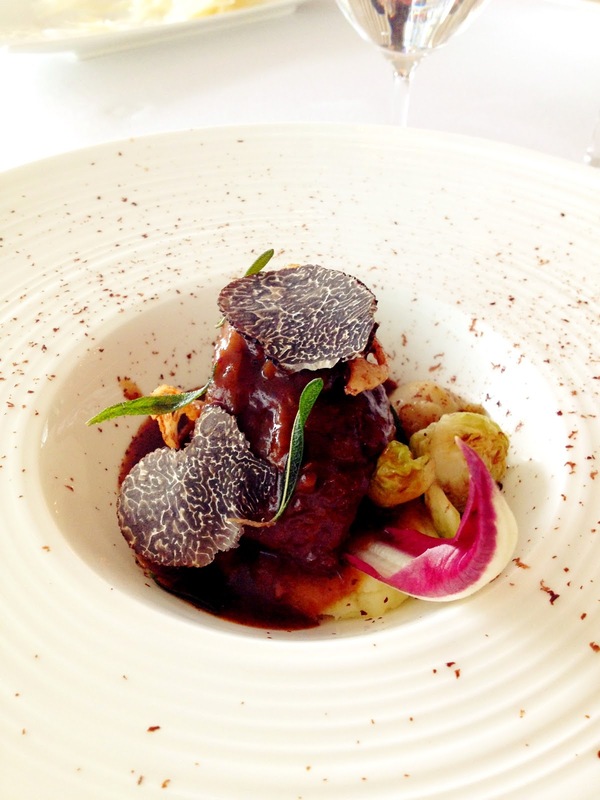 Braised beef cheeks with dark chocolate and black truffle. It literally melts in your mouth! 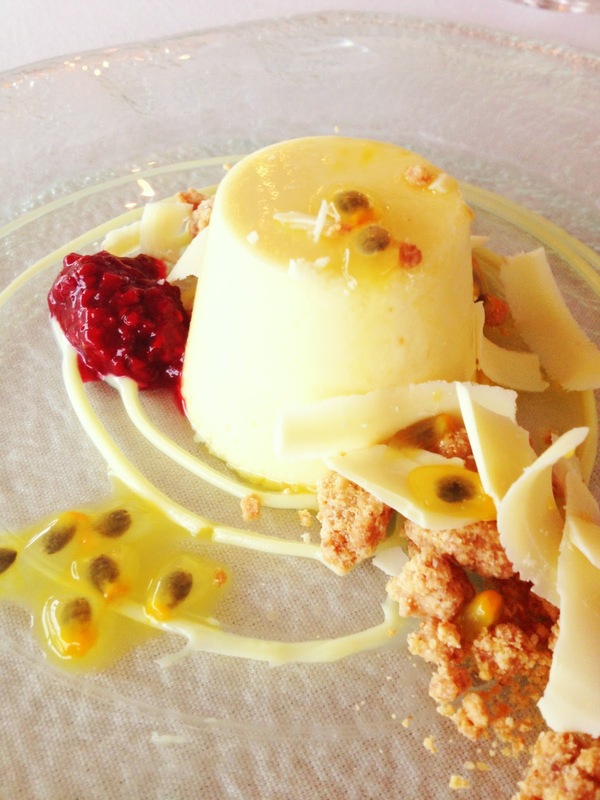 Dessert was Passionfruit panna cotta, which tasted great with the crumbs and white chocolate! These pictures are only taken using an iPhone and they already looked so good! We had the lobster pasta too, but didn’t manage to take a picture of that! Furthermore, the restaurant is located at the second level of One Fullerton so you do not have to worry about accessibility. You’ll also get to enjoy the magnificent Marina Bay Skyline while indulging in the savory food prepared by Chef Kentaro Torii. Anyhow, I have to say that the entire experience at Forlino felt really good. The view was great (can’t imagine how much more amazing it will be if we’d went over at night), food was delectable and the service was impeccable. The staffs were very professional, friendly and helpful, from the minute we’d entered the restaurant. For couples who are planning for a smaller wedding reception of around 70-90 guests, you’ve got to put Forlino on the top of your list for consideration! It’s a really lovely place to hold weddings at. I’m sure you and your guests will feel as satisfied as we did! Simply mail to us at produce@eternal-emotion.com or register HERE on our homepage for our weekly consultation! I would love (well that’s definitely an understatement) to head back to Forlino again for a meal! Meanwhile, enjoy the last few days of 2012 and happy new year in advance!